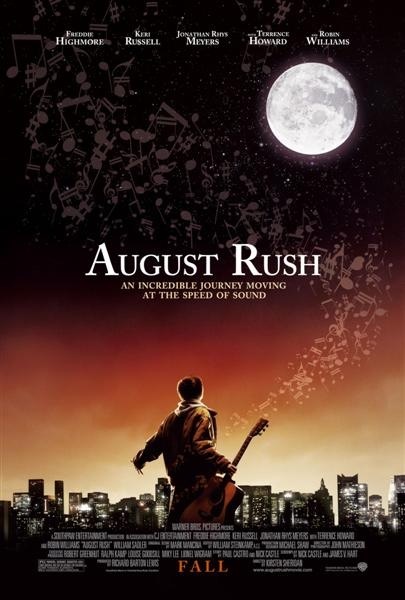 According to /Film, Warner Bros. has pushed back “August Rush” from it’s original October 19th release date to Wednesday, November 21st. Perhaps to take advantage of the extended Thanksgiving weekend? You can also see a version of the new movie poster that looks beautiful. I love the trailer and the poster so much. But I don’t understand why it keeps changing so much.